FOIMan comments on the announcement of a new FOI Commission and a change to the way that FOI is managed within government. Concern has been expressed here and elsewhere at the appointment of Michael Gove as Justice Secretary. We feared what he might do to FOI, given that his past involvement with the Act had been fairly acrimonious. Well…there’s good news, and there’s bad news. The good news is that Michael Gove is no longer responsible for FOI. The bad news is that responsibility for FOI within government is moving to the Cabinet Office. Which, if their record in answering requests is anything to go by, may well be worse. after more than a decade in operation it is time that the process is reviewed, to make sure it’s working effectively. Which sounds convincing until you recall that that was the justification for the post-legislative scrutiny carried out by the Justice Select Committee in 2012. That committee inquiry found little evidence of a chilling effect, made limited recommendations in respect of the cost of FOI, and concluded that “The Freedom of Information Act has been a significant enhancement of our democracy.” It is hard not to see this new review as an attempt to keep going until the government gets the answer it wants. Such an impression is reinforced by the membership of the Commission. It has cross-party membership to give the impression of balance but includes Jack Straw, a man who has made no secret of his regrets over the legislation he introduced, a former Permanent Secretary of the Treasury, Lord Burns, and Lord Howard of Lympne – David Cameron’s predecessor as Conservative leader and a man so disinclined to answer questions that Jeremy Paxman notoriously had to ask him the same question twelve times. It seems clear that the government is determined to weaken FOI. The Commission is due to report in November which does not allow for much consultation in the meantime. The Act is not without its critics, but in providing a largely free and universal right of access to information, subject to legitimate exceptions, we believe the freedom of information regime is fit for purpose. 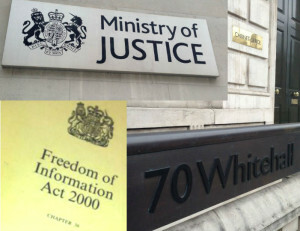 If you oppose any weakening of FOI, the best thing you can do is to donate to the Campaign for Freedom of Information. FOI Man greets the Justice Select Committee’s Post-Legislative Scrutiny report with some relief. This week is a very exciting time for everyone in the UK. It’s finally here, after 7 years, and months of wrangling and concerns over cost. Yes, today the Justice Select Committee has published its report on its post-legislative scrutiny of the FOI Act. And my first reaction is that I’m relieved. The Committee has rejected the most damaging proposals, and reaffirmed the importance of FOI in enhancing our democracy. They reject charging for FOI requests. They say no to the Lord GO’D’s proposal to give absolute protection to Cabinet papers. They say there is no need for the 20 working day time limit to be extended as ACPO had requested. What’s more, they’ve recommended some significant tightening up of the Act. Statutory limits of 20 working days for handling internal reviews should be introduced. Extensions to consider the public interest should be similarly restricted (with longer allowed for consultation with third parties). To improve compliance with existing deadlines, the Committee lifts one of my own recommendations – that public bodies should be required to publish data on their compliance with deadlines. They agree with my argument that such publication would allow the public – and the Commissioner – to better scrutinise and compare the performance of public bodies. One aspect of the Act that has been widely criticised is the treatment of the offence set out at section 77 of the Act of destroying or unlawfully withholding information that has been requested. The MPs agree with the Information Commissioner that this should be made an “either way offence” so that the currently risible time limit for investigation of 6 months would be scrapped. They go further in recommending that the maximum fine for this offence should be increased beyond the existing £5,000 to “send a clear message to public bodies and individuals contemplating criminal action”. In evidence, I made the point that FOI can only really be effective with senior leadership. I criticised high profile figures who have publicly attacked the Act. The Committee responded to this, and calls for “leadership and focus” by senior officials. It is also, it should be noted, very critical of former Prime Minister Tony Blair and his attitude to their inquiry. He, of course, is the most high profile critic of this legislation – which his own government introduced. The Committee has largely taken the approach that I have promoted here of “education not legislation” to improve FOI. Controversially perhaps, they have recommended that the cost of handling individual requests should be included in responses, and – rather oddly, I think – that the names of requesters should be included in disclosure logs. The Committee are also supportive of my proposal to introduce a Code of Practice for requesters. However, the call of Universities UK and others to amend section 22 of the Act (the exemption for information planned for future publication) to incorporate a Scottish-style research pre-publication exemption did attract the Committee’s sympathies. My views on this have been set out before, but whilst I’m sceptical of the need for such an exemption, I can’t really see much harm resulting from it. Universities, NHS bodies and others had expressed concern that FOI prevented them from operating on a level playing field with the private sector as the Government increasingly places an emphasis on competition. The Committee hasn’t reached any conclusion on this point, but urges the Government to keep it under review. There is the possibility at some point of an amendment to section 43 of the Act to address this. 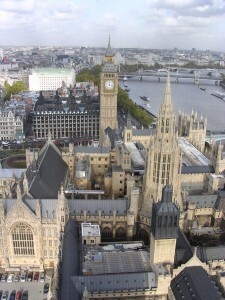 The Committee looked at whether private companies should be subject to FOI. They concluded that the use of contractual terms to protect the right of access to information where services had been outsourced seemed to work well, so there is no recommendation to expand FOI in this way. There is very little in the report that would cause any significant weakening of the Act. We should watch the Government carefully when it responds to the Committee’s suggestion that the “acceptable limit” be reviewed and possibly reduced from the 18 hours of staff time currently allowed to 16 hours. My own feeling is that this would not hugely reduce the number of requests that could be answered, but much depends on the way that the Government chooses to amend the relevant regulations, as the Campaign for FOI has already pointed out. Many FOI supporters will be a little concerned at the Committee’s comments on the veto. They have chosen to support the veto in principle as a way to counter arguments about “the chilling effect”. Effectively they are saying that civil servants and Ministers need not fear that discussions around policy formulation will be disclosed as they can be protected by the veto if necessary. Some might interpret their conclusions as encouraging a wider use of the veto in future. This, in my view, would be unwelcome and a step backwards. Overall, the Justice Committee has found that FOI has achieved its principal objectives, and has recognised that the benefits it brings – whilst often not quantifiable – outweigh its costs. Now we must wait and see how the Government will respond to this report. But fundamentally, what’s important now is that public bodies accept that FOI is here to stay. The SaveFOI Campaign have also commented on the report. March 28, 2011 / FOIMan / Comments Off on Public Data Vs FOI? 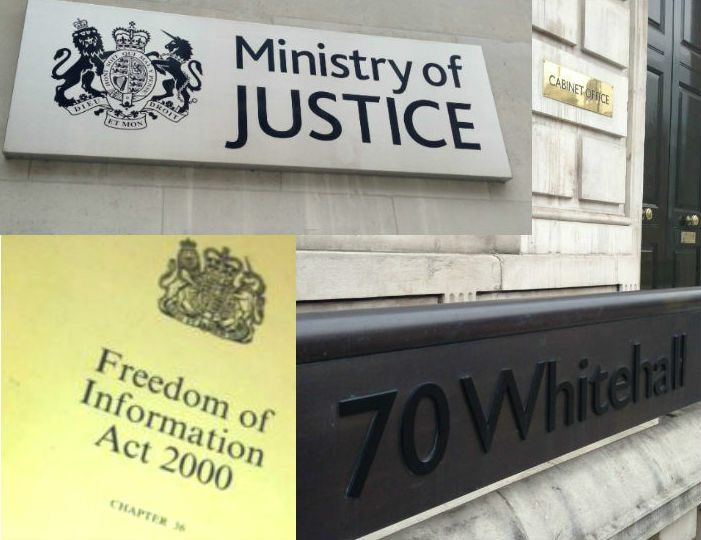 FOI Man welcomes Government moves to improve transparency across the public sector. But a more pro-active approach to publication of data mustn’t be used as justification for (or a smokescreen for) weakening the right to make requests for information through the Freedom of Information Act. The Government’s Transparency Board is, as they say, just what it says on the tin. It is a Board that champions transparency across the public sector, chaired by Francis Maude. Its membership is impressive, including in its number Sir Tim Berners-Lee, inventor of the World Wide Web, and Professor Nigel Shadbolt, a champion of open data. And as you’d expect from such an institution, its minutes are published online. Obviously, the Government is keen to press its own agenda, and doesn’t want to work within the straightjacket of the previous Government’s law. Though in truth, there seems little in their agenda that FOI didn’t already permit – it’s a difference of emphasis rather than real substance. Which isn’t to say that an emphasis on more transparency isn’t welcome. But I think that those who support FOI as a powerful tool for opening up Government ought to be watching developments carefully. I’m still nervous that the Government at some point is going to suggest that as they’re disclosing all this data, there’s a reduced need for the general right of access (the right to make FOI requests). That they use this agenda to bring in restrictions on that right, such as a prohibitive fees regime. This won’t happen until after the post-legislative scrutiny process has been completed of course, but we need to keep an eye on where that scrutiny is led. The general right of access is very important. As I’ve said before, it means that you choose what information you want (subject to statutory exemptions approved by Parliament). Increased pro-active disclosure is valuable, of course, but it means that the public body, or Government, chooses what it will allow you to have access to. True transparency requires both to be truly effective, not an either/or. So it should be Public Data + FOI.